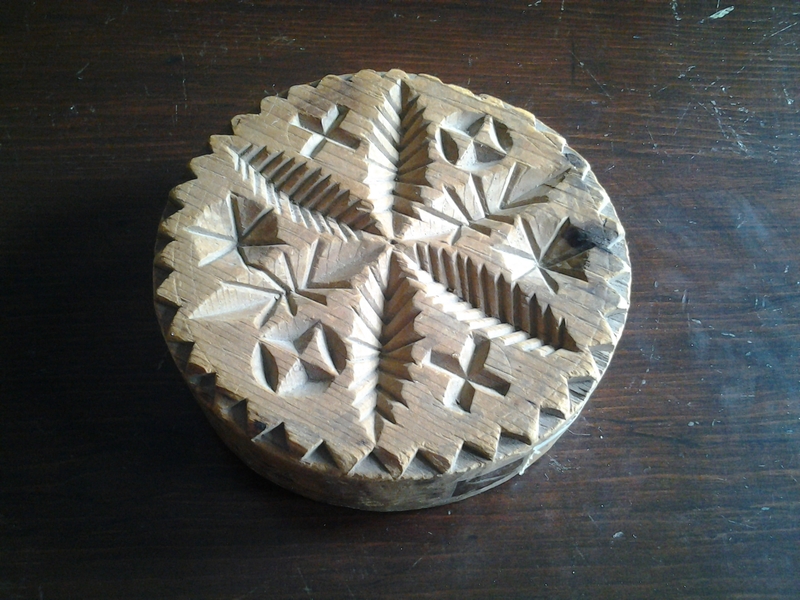 Intricately carved butter stamp, Western Ontario. 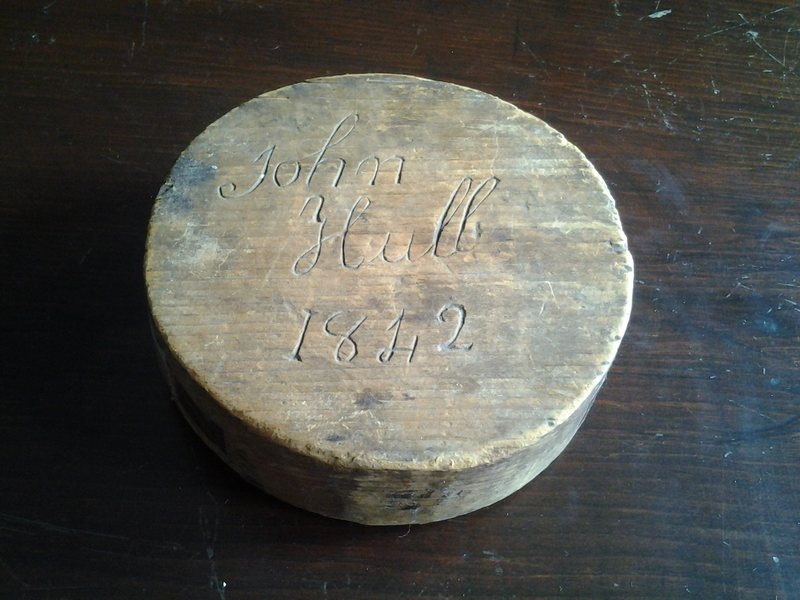 Signed and dated - John Hull, 1842. 4" width x approx. 1.3"thickness.